Jujitsu is a traditional Japanese martial art, combining the punches and kicks of Karate, the throws and trips of Judo, and the wrist locks of Aikido. It is therefore an all round martial art which is great for kids and has had great success in the MMA world. Class Sizes: We don't believe in large class sizes. The maximum we have in any class is 20, and the average size is between 12 and 16. We are very lucky in being able to do this because tthis is a full-time Centre, and when one class gets full simply start another class without any increase in rent.This means that the kids get much more individual attention, and so gain the high standard of Ju JItsu expected in the Centre.... and all for only £19 per month. Our House System: Like schools, every child in the Centre is in a house, headed by one of the Masters in the Centre: This promotes ‘friendly competition’ in the Centre, with the emphasis on both ‘friendly’ and ‘competition’. Each child belongs to the house of their current teacher. House competitions, of one form or another are held termly and are free to members of the Centre. Belts Being a traditional martial art, we use a Black Belt grading syllabus, which takes children from white to their prestigious black belt, and then beyond. Unlike many modern martial arts which have created their own personal grading systems, such as different coloured t shirts etc, a Black Belt is recognised the world over. A black belt doesn’t only show a very high level of self defence skills, which could one day save their life, but is also a very impressive part of a child’s achievement folder. The class is for 7 to 16 year olds, and is held every saturday 12-1pm in the Beacon Centre in Rayners Lane. Free Taster Session: Children who wish to start get a FREE taster session. You can book your child into one of these FREE classes below. Monthly Fees which won't break your bank: After their FREE taster lesson children pay for the first month online below. 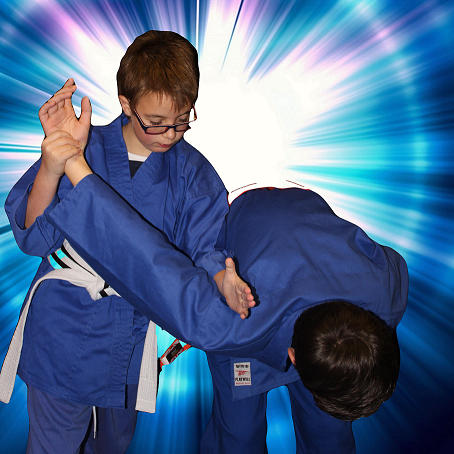 Classes cost £19 a month, and the first month gives your child a FREE Blue Ju Jitsu suit worth £19.95. After the first month children normally pay for lessons monthly by standing order (at the same prices). Please note that this is a standing order- NOT a direct debit, and can be cancelled by you at any time. For those who don't like standing orders, and who like a good deal, you can also pay yearly for lessons and get two months FREE. That is only £190 for a Yearly Dragon Card,Of course this still gives your child a FREE Ju Jitsu suit. For care free training simply pay for it below. Family Discount. To help financially we give 50% discount on a second child training in the Centre from the same family. So, for example, two kids training from the same family (which normally costs £19) only costs £29 for both of them. To find out more email enrol@harrowmartialartscentre.com or Text 07811 185 944, and we'll get back to you! Kids Ju Jitsu Yearly Dragon Cards 2 x months FREE!